Well, in case you needed another reason to come back, here are 10 good ones! 1. WE HAVE AN EQUESTRIAN CENTER ALMOST AS OLD AS PEBBLE BEACH GOLF LINKS. 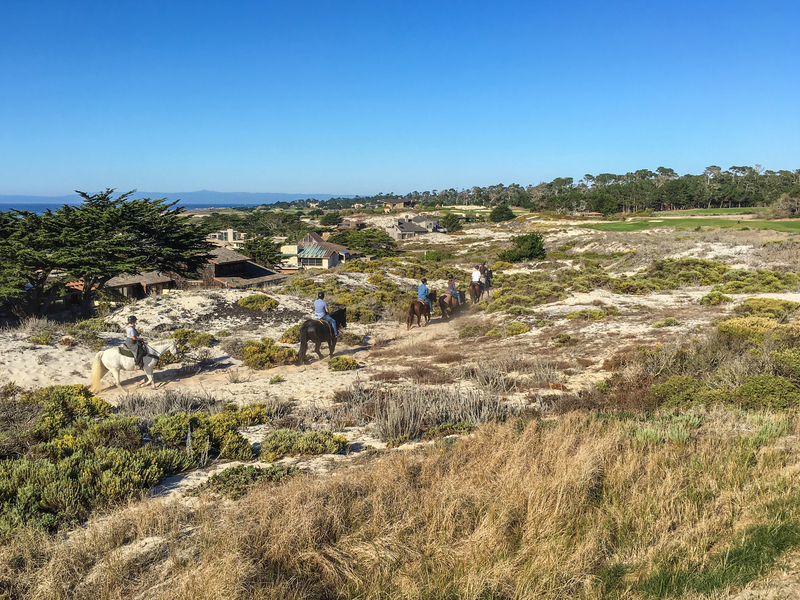 Horses have been walking Pebble Beach nearly as long as golfers. Pebble Beach Golf Links opened in 1919. The Pebble Beach Equestrian Center has been around since 1924. We send out daily guided trail rides starting at 10 a.m. that wander romantically through the forest, sand dunes and along the beach. And as you can see, they find some unique golf course views, too. 2. GUESTS ENJOY UNIQUE ACCESS TO THE PRIVATE BEACH & TENNIS CLUB AND SPANISH BAY CLUB. These two private social clubs are all yours during your stay. So swim in our heated pools, relax in our whirlpool spas, work out in front of breathtaking views of Stillwater Cove and play tennis on our hard or clay courts. Or just tan. Totally up to you. 3. 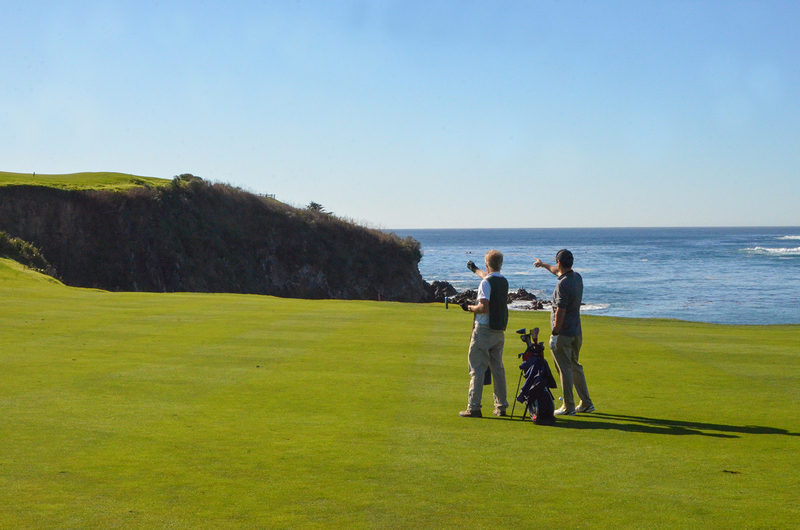 PRACTICE ALL YOU WANT AT THE PEBBLE BEACH GOLF ACADEMY DURING YOUR STAY. Pyramids of stacked golf balls await, and they magically replenish mid-session. So find your swing in the dirt and practice to your heart’s content. When you stay with us, you have access to our beautiful practice facility, which we proudly opened in 2014. You can also work on fairway bunker shots, sand shots, pitch shots and your putting stroke on our three practice greens. There’s even an indoor putting studio and a swing robot that helps you feel the perfect swing. 4. YOU CAN PLAY ALL YOU WANT, TOO. We have a replay rate at Spyglass Hill ($225), The Links at Spanish Bay ($165) and Del Monte ($50). (There unfortunately is no replay rate at Pebble Beach.) Play any of our resort courses in the morning, and you can go back out for Round 2 in the afternoon at our re-round rate (pending tee time availability). You can mix and match, too. Play Pebble Beach in the morning, and head out to Spyglass Hill for a re-round after lunch. Not a bad day! 5. YOU CAN EVEN PLAY ALL DAY AT PETER HAY. Short game practice with a view. Your green fee at this fun layout with sneaky ocean views gives you unlimited play for the entire day. It’s also the perfect playing field for games with your buddies. 6. 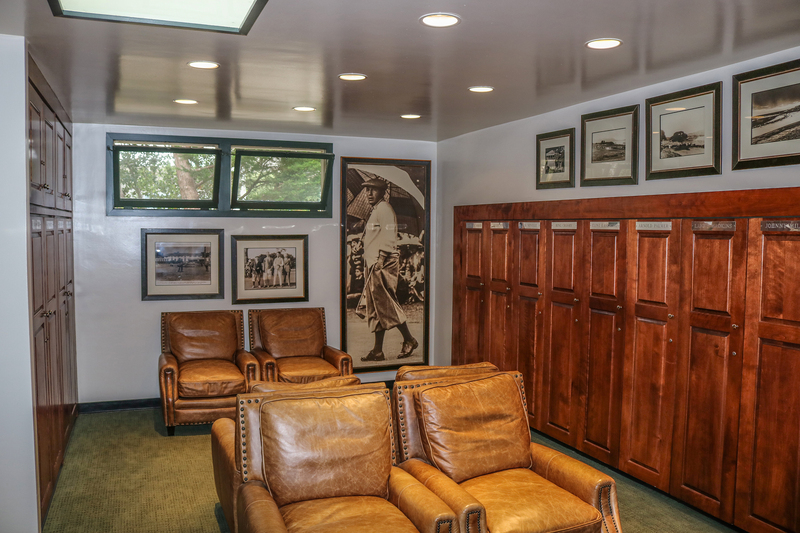 WE DON’T HAVE A PEBBLE BEACH HALL OF FAME, BUT THE MEN’S LOCKER ROOM CASTS AN IMPRESSIVE BALLOT. Tucked away in the back corner of the Pebble Beach Pro Shop is a dog-legging hallway to the men’s locker room. Every Major champion at Pebble Beach has a locker, with names like Nicklaus and Watson and Woods shimmering on gold plates. A few more Pebble Beach luminaries also made the cut, such as Prince of Pebble Beach Mark O’Meara, 1929 U.S. Amateur Medalist Bobby Jones and Pebble Beach Partners Clint Eastwood and Arnold Palmer. It’s a fun exercise to test your Pebble Beach trivia and recall why each player has a locker here. 7. YOUR CADDIE PROBABLY HAS A PRETTY INTERESTING STORY. And then there are guys like Nick Galante, who happens to be a championship-winning race-car driver sponsored by Rickie Fowler in his spare time. So be sure to book a caddie for your golf. The walk, the tips and the stories could be priceless. 8. THE BAGPIPER PLAYS AT SPANISH BAY EVERY DAY, RAIN OR SHINE. Ask anyone who’s done it. You must save time for the daily bagpiper performance in front of STICKS and The Inn at Spanish Bay fire pits. The bagpiper plays every evening — starting around 5:45 p.m. during Daylight Savings, and a half hour before sunset during the winter months. If your trip is booked up with golf, schedule an afternoon round at The Links at Spanish Bay, and listen to the bagpiper serenade you on your closing holes. 9. YOU CAN SPOIL YOURSELF AT ONE OF THE BEST SPAS IN THE WORLD. The Spa at Pebble Beach received the coveted Forbes Five-Star Award, one of just 57 in the world to earn the honor. So pamper yourself with a heated Himalayan salt stone massage, a papaya pineapple scrub, an espresso limón slimming flotation wrap or even a 24-karat gold facial. Or if you just want to relax with us in our sauna, steam room, Jacuzzi or out by the pool, you can grab a $50 day pass and escape to our relaxing oasis. 10. CASA PALMERO IS THE MOST INTIMATE EXPERIENCE AT PEBBLE BEACH RESORTS. Tucked away below the first hole at Pebble Beach Golf Links, Casa Palmero feels like a hidden Mediterranean estate, complete with lush gardens and the peaceful drip of a spouting fountain. Inside your lavish suite, you’ll even find your own private patio and whirlpool spa. Casa Palmero also flaunts a luxurious living room, cozy library, classy billiard room and picturesque pool. But guests rave more about the standout service than the unique amenities. Fun details include a thoughtful breakfast basket delivered to your room each morning, and a complimentary cocktail hour every evening. Many say once they discover Casa Palmero, it’s the only place they’ll stay. Give it a try the next time you’re here. 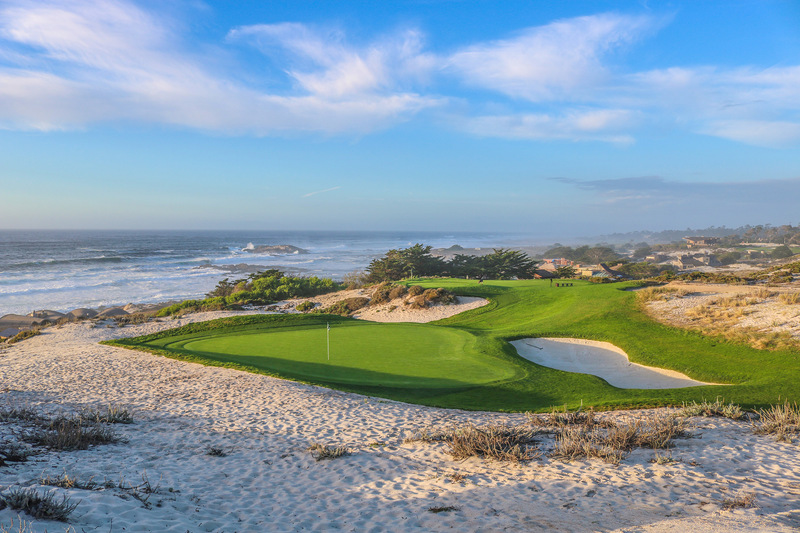 What’s your favorite hidden gem at Pebble Beach Resorts?